Offering professionally finished apparel and promotional products since 1991. Our team of talented printers efficiently operate both manual and automatic printing presses to provide quick turnaround times. We are able to print a wide variety of garments. We offer professional quality embroidery. 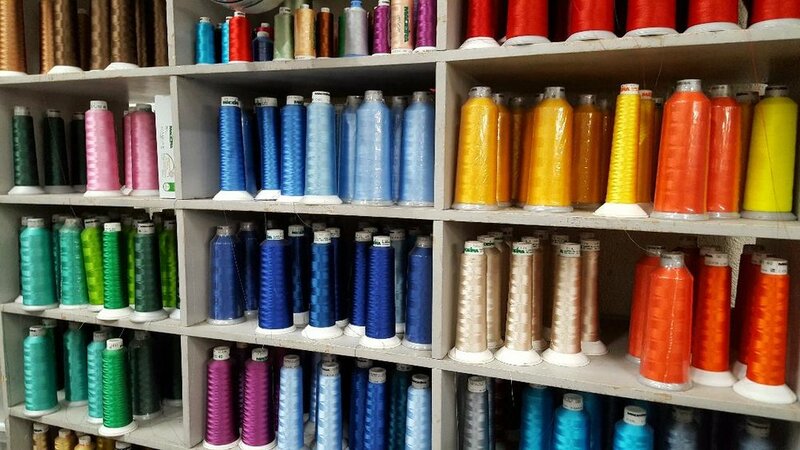 From custom logos for uniforms to personalizing individual garments, nearly no job is too large or too small for our embroidery specialists. NEW! Vinyl transfer is nothing new to Darc Graphics. But in-house vinyl plotting is! Let us cut and apply your next design. 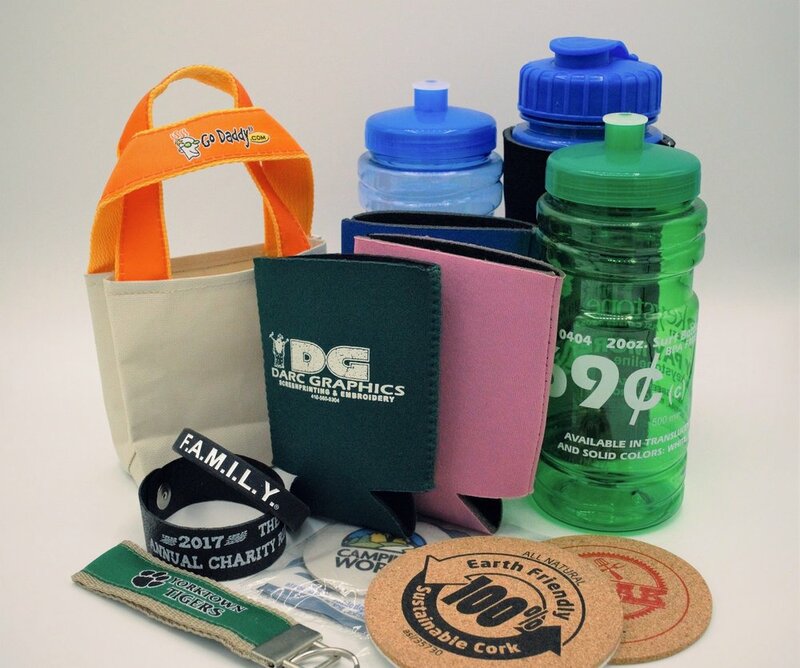 Our team is proud to offer other personalized promotional products as well. From stickers to pens and koozies, we can get it done for you. Let us help promote your business or organization.